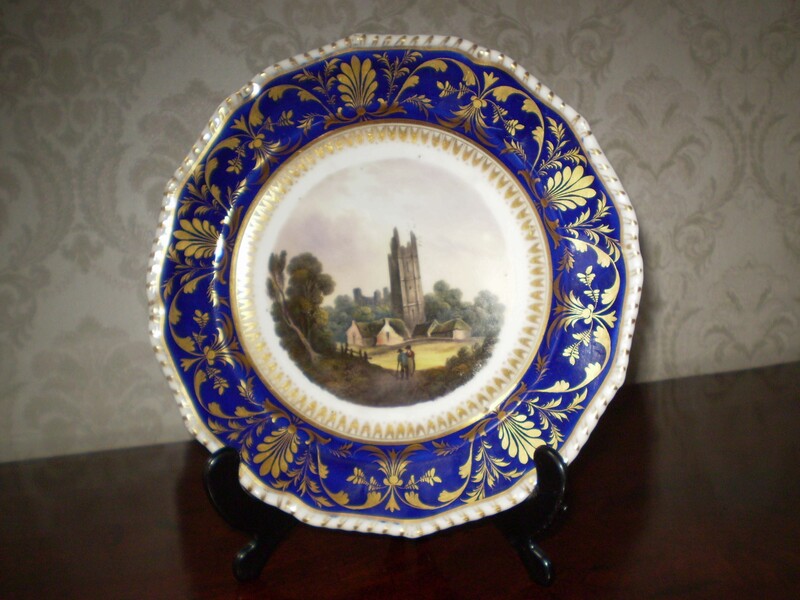 Description: A fine Derby dessert plate, painted with a male and female conversing on an Irish country lane. Crown, crossed batons & D mark, and titled ‘Yellow Tower Trim’ in red script. C1820. 22cms wide. Condition: Just the odd hint of localised gilt wear, otherwise fine.